Taggerty River in Victoria's Central Highlands. Credit: Dave Blair. 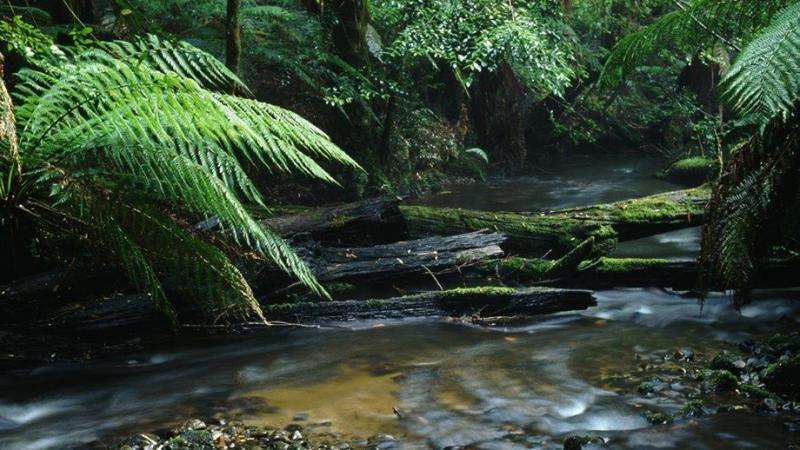 Professors David Lindenmayer and Michael Vardon from the ANU Fenner School of Environment and Society have used government reports to calculate the value that water, timber, tourism, agriculture and biodiversity in the forests contribute to Australia's GDP. "Importantly, the report shows that the provision of water, agriculture and tourism in the forests is far more valuable than native timber harvesting," Professor Lindenmayer said. The report used the United Nations System of Economic and Environmental Accounts to calculate the value added value - which include economic activity and employment as well as asset values - of different land uses. Professor Lindenmayer is calling for the establishment of a Great Forest National Park to become a wildlife haven and bush "playground" in the Victorian Central Highlands. He said native timber harvesting was doing more damage than it was worth economically. "The most important catchment in the area is the most heavily logged. The older the forest, the more clean water you get. If areas of the forest are logged, more sediment ends up in the catchment and you have to start thinking about desalinisation and water treatment," he said. "It's not a political case, it is scientific. Current management is a major loss making enterprise that basically diminishes these other land uses which are economically, socially, and environmentally more valuable. "Our new accounting framework lets the government see this clearly in economic terms for the first time." Professor Lindenmayer said this work has implications for the Central Highlands Regional Forest Agreement - a twenty-year forest management plan due for renegotiation in 2018 - because it challenges the idea that native forest harvesting is economically viable.